World TB Day, which is observed on 24 March every year, seeks to raise awareness about tuberculosis (TB) and efforts to eliminate the disease worldwide. To mark World TB Day experts came together for the annual UCL-LSHTM World TB Day Symposium on 23 March. This year's symposium became the first 'super-symposium' with a live link to the University of California, San Francisco's own event exploring Research Leaders for a TB-Free World. 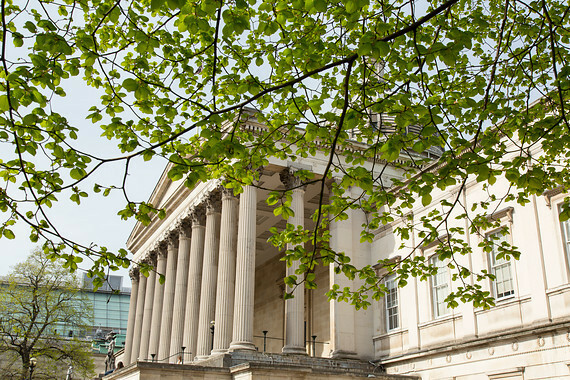 In addition to the symposium, on 24 March eading academics from UCL and other UK institutions published an open letter to the government urging more action on the fight against tuberculosis. UCL also joined other organisations worldwide to #LightUpforTB and turned the Wilkins Building red.